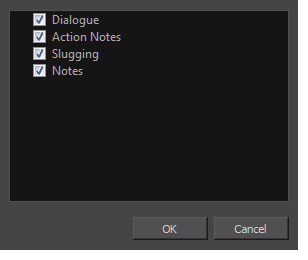 When there are captions you do not use regularly, you can hide them to streamline your workspace. Deselect the captions you want to hide. If you have added your own custom captions, they also appear in the list. Any captions that you renamed appears as you renamed them.